It’s another EuroMillions Superdraw – which means this Friday will crown 25 ticket holders as instant Millionaires. 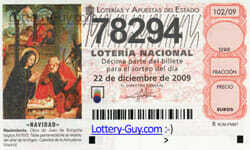 But this is also on top of the normal jackpot draw, currently sitting at a cool €29 Million. How come you’ve not heard about it. For those of you that played the big crazy Spanish El Gordo draw this year, you might be interested to find out if you won the €3 million first prize… or one of the tens of thousands of other prizes! I know, I know, the anticipation is killing me too! In case you missed it, EuroMillions rolled over again last week. 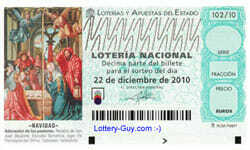 Which makes the jackpot this Friday one of the biggest seen at a rather crazy €129 Million.